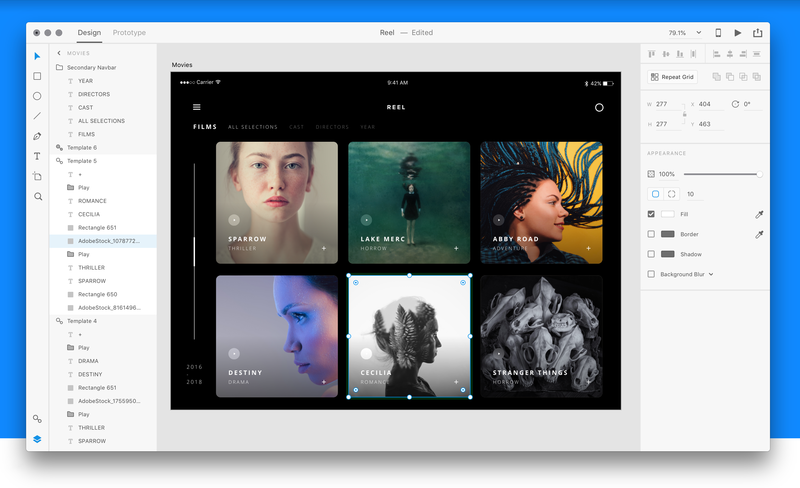 XD, Adobe’s user interface and user experience design and prototyping tool, came out of beta last October to join the group of products in the company’s Creative Cloud subscription program. Today, it’s expanding the availability of XD to a wider range of potential users with the launch of a free starter plan for individual users of XD. This plan is available to all users, no matter whether they are students or professionals. The company also today announced the Adobe Fund for Design, a $10 million fund that will make investments and offer grants to companies in the Creative Cloud ecosystem, with a focus on XD. For Adobe, XD is clearly a significant bet. It’s also the first major new product the company is launching and it’s in a market where others are trying to play, too, including popular tools like Sketch. While Sketch doesn’t offer a free plan, it’s hard not to look at Adobe’s move today as a sign that the company wants to take the competition head-on. And while XD is part of the somewhat pricey Creative Cloud plan, you also can get a $9.99 monthly license for XD only. The free plan covers the MacOS and Windows versions of XD, as well as its mobile preview apps on iOS and Android, and it’ll include all of the design and prototyping features of the application. Belsky freely talked about the competition and noted that Sketch is MacOS-only, for example, and that in his view, none of the competitors can match XD’s performance. “We believe that this is the best platform and industrial grade experience design solution out there,” he said. Belsky also noted he believes that, in the long run, XD will be as big as Photoshop. As for the investment fund, Belsky noted that the company wants to optimize for flexibility. That means the fund is global and not just for investments but also outright grants. The idea here is to provide assistance to developers and startups that push the overall Creative Cloud ecosystem forward through plugins and integrations, though the focus right now is on XD. There is no time limit on this fund. Adobe isn’t just launching these new plans and the new fund today. It’s also launching one of its regular updates to XD itself. 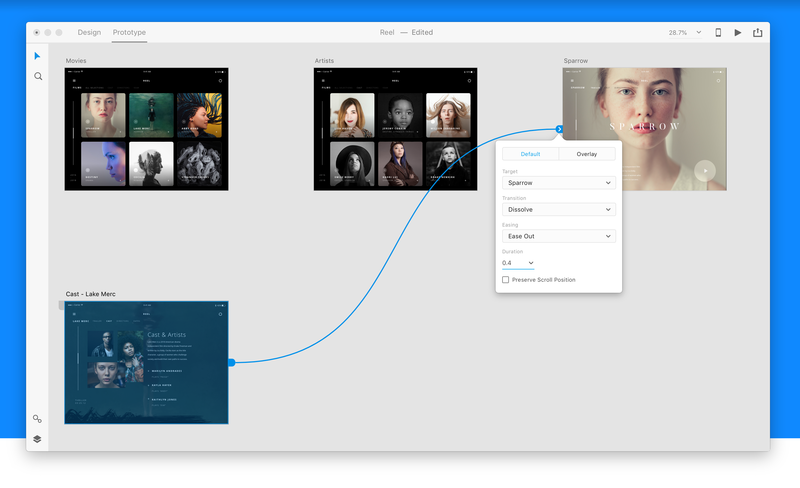 As part of this update, the company is improving its integration with Sketch and Photoshop, for example, and it’s giving XD another performance boost to ensure it stays responsive (or “buttery,” as Belsky calls it), even with hundreds of artboards open. You can also now paste assets into multiple artboards and drag-and-drop assets to swap symbols. Password-protected Design Specs, which the company previously announced, are also now available as a beta. Looking ahead, the company has a number of interesting new features on the roadmap. Maybe the most interesting of these are timed transitions, for when you want to design an onboarding experience, for example. Adobe’s group product manager for XD, Cisco Guzman, also demoed a new animation feature that allows designers to create more complex animations based on user input without having to learn a complex timeline-based tool. Quite a few designers today build these with other Adobe tools like After Effects, but the idea here is to keep them within a tool they have already mastered. “Part of what we’re trying to do with XD is to remove that friction that designers experience,” Guzman told me.